With 10 days to go until the start of National Women’s Soccer League’s sixth season, there is one story that won’t go away — and won’t without a resolution. 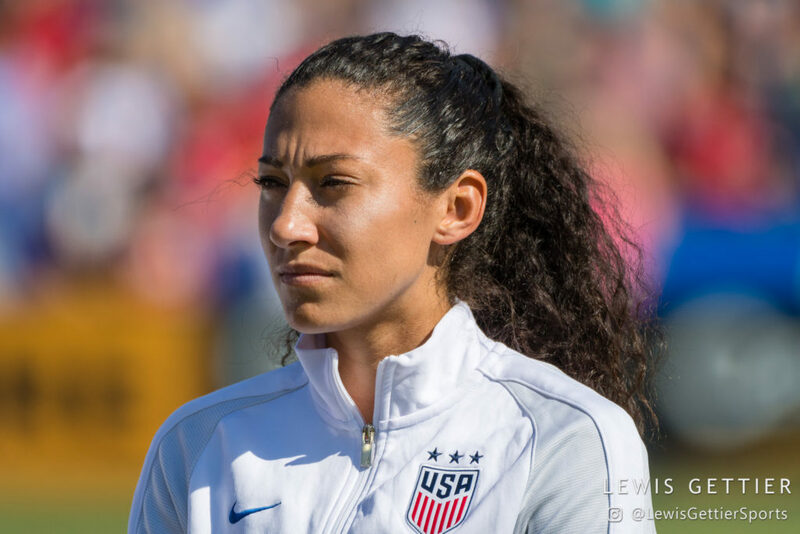 Christen Press has not reported to the Houston Dash and, as reported late last week by Corey Roepken in the Houston Chronicle, has no intention of doing so. For their part the Dash are moving on without her. This is a story with no winners, where all concerned parties look awful in their own special way. It is also a story with myriad layers and much that we don’t yet know, and maybe never will. First the hard facts. Following the 2017 season, Press and the Chicago Red Stars came to a mutual agreement that it was time for her to move on. She gave the club a short list of teams she was willing to accept a trade to. (Players cannot formally reject trades, but as Press has proven, players are not bound to report, and federation players — contracted to U.S. Soccer or Canada Soccer and not specific teams — may freely sign in other leagues.) The Utah Royals were not on the list, so when the Red Stars worked out the parameters of a trade with them, it never happened. Press later informed the Red Stars that she was willing to accept the deal to Utah. The problem was that some of the pieces that would have gone back to Chicago had been moved to other teams. There was no deal. Fast forward to draft day. 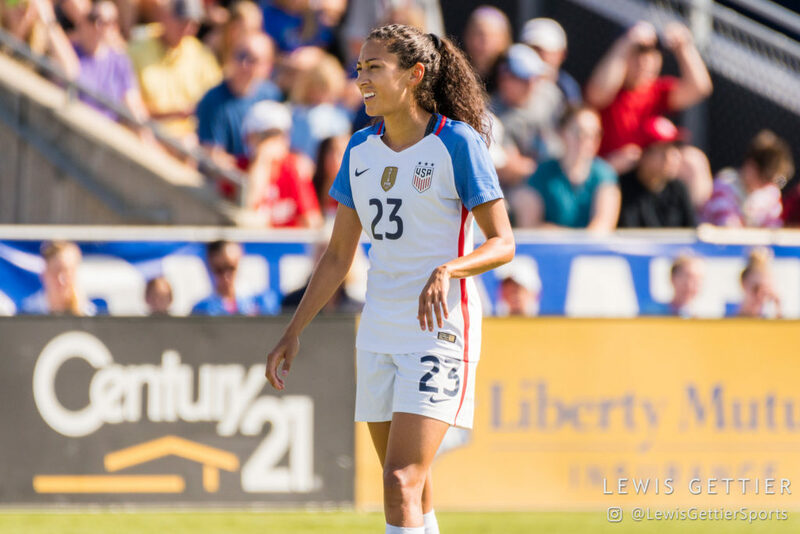 The Red Stars traded Press in a spectacular, three-way trade that sent 2017 league MVP Sam Kerr to Chicago, Carli Lloyd to Sky Blue, and Press to Houston. The problem was, Houston was not on Press’s preferred list of destination teams. And this is where the story gets murky. 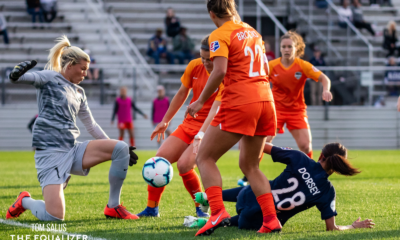 As Press forewent the ritual of expressing excitement about her new team on social media channels, the Dash expressed confidence that Press would play for the club. Head coach Vera Pauw said the team sheet would start with Press each week and be built around her. That confidence has not swayed Press. At the SheBelieves Cup match at Red Bull Arena ton March 4, she was asked about the Dash and politely declined to discuss the team. Six days later came Roepken’s report about Press having no intention of reporting to the club. At some point between the trade and then, she paid a visit to Houston, toured the team’s facilities, and even took in a training session before deciding whether or not it was the right environment for her. Barring a late change of heart or a trade, Press will not play in NWSL this season. She is free to sign overseas provided the transfer window is open in any particular country. So who is really to blame for this mess? The truth is that until we know all of the details, that is an impossible question to answer. But the team, the player, and yes, the league are all accountable for one of the top stars in the country absent from training with her NWSL club as opening day approaches. None have commented publicly other than an NWSL spokesperson acknowledging that Press has not reported to preseason, “…but we are not commenting on anything else at this time,” and these comments by Pauw to Anne M. Peterson of the Associated Press. Regardless of who was speaking for Press, the lack of communication is a reflection on her. Roepken’s report said the league office informed the Dash of Press’s decision not to report (a league spokesperson declined to comment when asked about this directly), which would mean that even after being wooed by management, Press did not see fit to let the team know herself. That, too, is a reflection on her. And I can’t help but think that many other players, even if they ended up not going to Houston, would not have allowed the situation to drag on like this one has. Meanwhile, Press barely played at the SheBelieves Cup, entering the second match after a slew of injuries and positional changes. 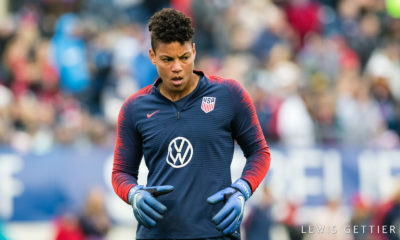 Her lack of playing time suggests she is lingering near the bottom of Jill Ellis’s depth chart at forward (a saving grace could be Crystal Dunn’s standout performance at outside back, which could wind up taking her out of the mix up top.) Would it really be the best decision for Press to be out of club now, when she could have put her head down and made the most of playing in Houston? The Dash are not squeaky clean here, either. At this point it seems all but certain they pulled the trigger on a major trade without any reassurances coming directly from the player who didn’t want to go there. And make no mistake, it was not a closely guarded secret that Houston was not on Press’s list of preferred teams. The Dash have also spent much of their four years in NWSL building a reputation as a place that players don’t want to be. The results on the field have echoed that, or perhaps the other way around. However this turns out, the Dash may want to look inward as they look to the future and ask themselves how they can change that reputation. All of this, of course, falls under the umbrella of NWSL. As is their wont, the league has gone silent. It has not only issued a “no comment,” but nowhere on its website or social media channels is there any update on Press. Beyond her appearance on the Dash roster they seem to be trying hard to pretend none of this is happening. In some ways, the league is handcuffed by its warped relationship with U.S. Soccer when it comes to matters of Federation Players. Dunn and Morgan Brian were able to jump ship to Europe with no remuneration to their clubs (there was a stipulation in the Morgan Brian trade about her going overseas, which she openly discussed with the Red Stars at the time they acquired her from — you guessed it — the Dash.) Players have frequently been called into national team camps in lieu of league matches with only a day or two separating them from playing for club. 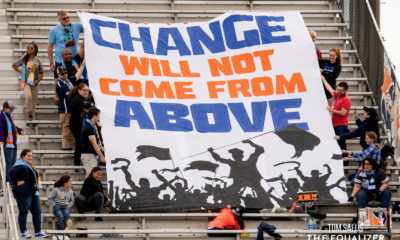 Despite all that, the NWSL’s silence is screaming out weakness and a lack of leadership. Fair or not, it underlies that the commissioner’s role has been vacant for more than a full year. Even if NWSL has no specific power over this situation, some sort of public acknowledgment would go a long way toward earning public trust, something the league lacks at the moment. Another layer is the belief that Press — and other players — should be able to decide in what cities and for which clubs they play. This is a valid argument, although it brings up a very basic question: Do we want unfettered free agency, even if it means the entire national team resides in Portland and Orlando, and the league takes on an absurd imbalance like the French League and many of the world’s lauded men’s leagues? The NWSL Players Association — of which Press is not a member, since her NWSL salary was to be paid by her federation — recently named player reps for 2018, and hopefully that organization can begin to get a foothold and start to bargain for more player rights. Some middle ground would be best. No one wants a league of haves and have nots. This one is not about overall player rights, though. If it were, Christen Press and her representatives would be shouting that message through all available channels. This is about Christen Press not getting her way. And this is about the Dash not doing their due diligence before making one of the biggest trades in the history of the sport. And this is about a league that believes it can make bad news go away by ignoring it.